Honey is honey. The ingredients are: honey. There is almost nothing more basic. How, then, do you differentiate your honey from your competitors honey? Dutch Gold Honey claims to be the first company who started packaging their honey in plastic bears, and what an impact they’ve made (heck, my picture is proof that Meijer has adopted this shape for their honey containers – and my wife (and I’m sure many other folks) will go to great lengths to buy the honey bear, even if it’s more expensive than the other, more plainly bottled, honey products). Frankly, I think the move to the new container was nothing short of brilliant. Dutch Gold could have done a few things in this scenario, they could have kept their honey packed in the same boring jars as everyone else, or shaped their container as something more related to honey (a honeycomb or a bee, perhaps), but they didn’t, and more power to them for making the decision they made! Dutch Gold exploited a looser association, and, thus, they occupied a new position in the consumer’s mind. Everyone thinks of bees and honey, but bears and honey are not quite as closely related (Heck, word on the street says that the bears are more into the bee larvae than the honey anyway). So Kudos to you, Dutch Gold. It’s just a shame that it seems like everyone puts their honey into bear-shaped containers nowadays. Ok guys, I need another favor for a project that I’m working on, and your help is really appreciated! Hypothetically, if You had to plug in one of those big fancy electric massage chairs for you and your family to use, which style plug would you prefer was on the end of the cord? 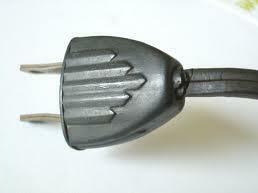 I want to know, out of the two plugs, which is more familiar to you. Which is more comfortable? Which makes you feel the safest? Which do you trust more? Thanks, in advance, for your answer, and please, if you can’t put your technical mind aside, please don’t answer the question and skew the results! Good reminder that having more choices is not always better for the consumer! Consumer confusion due to too many choices is a real thing (I believe that Malcolm Gladwell said (in “Blink”) that people can only handle 7 choices or less at a time). Offering less options, while it sounds like a negative, should not always be thought of as “robbing the customer”! As long as you are making sure that you’re not including inane, unnecessary options, and the options that you are offering are relevant, quality options, then you’re doing the customer a service by being concise! I was recently working with a Contractor Customer of mine on some advertising he wanted to receive Co-Op funding on. Now, anyone who knows me knows that I have beef with microwaves (since even the newest ones look like they’re from the ’80s, and the ones with the scroll wheels, while trying to look futuristic, are horrible at being user-friendly microwaves). See the problem (and not my clutter)? What time is it? I use this (or try to use this) as my kitchen clock, and, more often than not, I have to walk to the other end of the kitchen to tell what time it is!!! 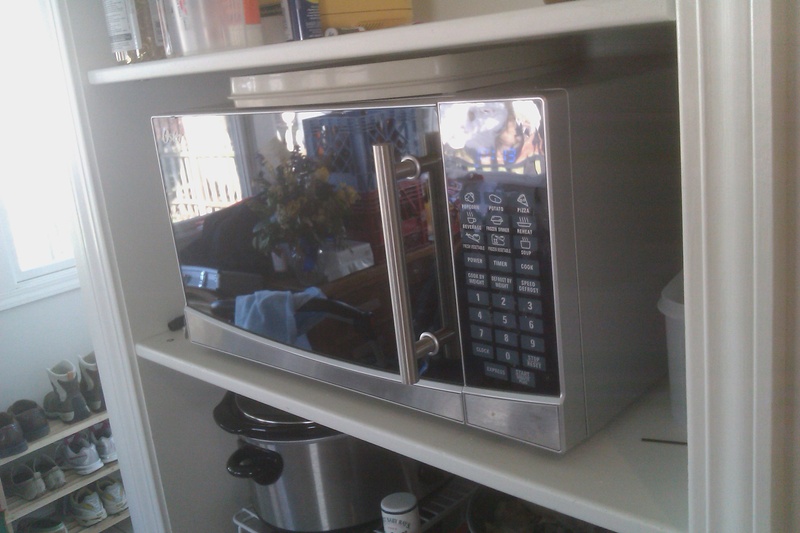 This microwave is also impossible to see into when something is cooking (which means you have to listen for explosions; you can’t see them coming). The real issue here (for Oster, anyway) is that I have to buy a new microwave soon (as this one is starting to howl at me), and this “minor issue” is more than enough to push me to buy any brand other than Oster. .It doesn’t matter how awesome the microwave is, I’ve literally been waiting for this microwave to die so I could go buy a microwave from any other manufacturer. This is a notice to all designers, engineers, marketers, managers, and anyone else who is willing to listen: Pay attention to the little details because they can make or break your product or service!!! I think, with the number of small companies on the rise due to the ease of creating a company nowadays, the winner will truly be the company (or individual(s)) who provide the best customer experience. Now that individuals and businesses have more options with regard to with whom they would like to do business, there is an increased emphasis on their “preference” instead of their “available option”. To me, this is essentially the foundation for the theory presented in “The Thank You Economy” (People like you enough to choose to give you business when they otherwise wouldn’t have to. http://thankyoueconomybook.com/).